Like other critical organizational assets, information is a strategic asset that requires high level of oversight in order to be able to effectively use it for organizational decision-making, performance improvement, cost management, and risk mitigation. Adopting an information governance program shows a healthcare organization’s commitment to managing its information as a valued strategic asset. Information governance serves the dual purpose of optimizing the ability to extract clinical and business value from healthcare information while meeting compliance needs and mitigating risk. Healthcare organizations that have information governance programs will have a competitive edge over others and contributes to safety and quality of care, population health, operational efficiency and effectiveness, and cost reduction initiatives. This is a much-needed book in the healthcare market space. It will explain, in clear terms, how to develop, launch, and oversee an Information Governance program. 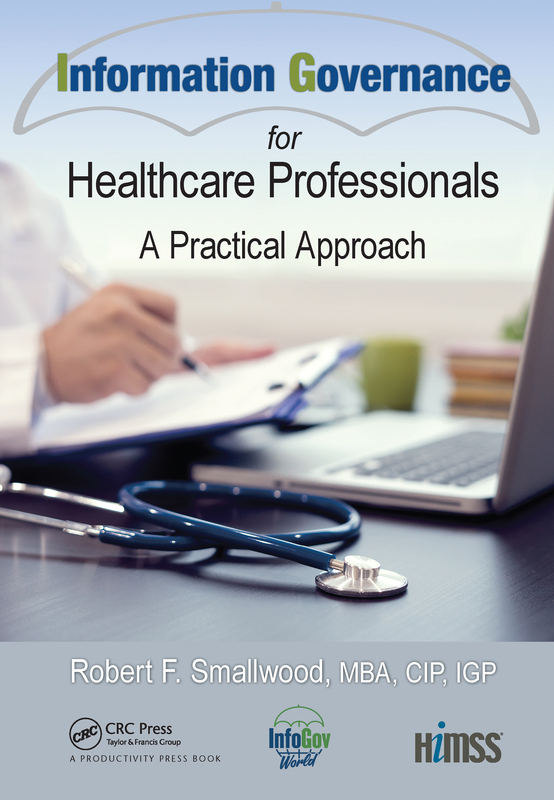 It also provides advice and insights from leading IG, cybersecurity and information privacy professionals in healthcare. Who Should Be Part of an Information Governance Team?